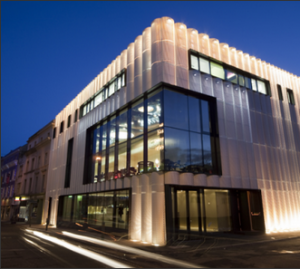 Sleeping Giant’s managing director, Luke Quilter, is speaking at the inaugural Digital in Kent conference at Folkestone’s The Quarterhouse on 17th April 2013. Luke’s workshop, entitled ‘How to Integrate the Digital Channels Effectively for Maximum Impact’, is running alongside workshops from other Kentish digital experts. Luke will give a brief overview of each of the main digital marketing channels: PPC, SEO and Social. He will discuss the strengths, weaknesses and potential uses of each channel and then give examples of how these channels can be used together to greater effect. The one-day conference is being held at The Quarterhouse in the heart of Folkestone’s Creative Quarter. Luke will be around for the majority of the day and Sleeping Giant Media are sponsoring the beer and pizza networking evening that’s starting at 5pm. 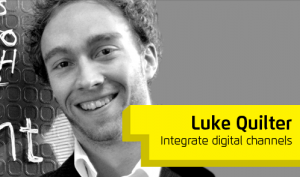 Luke would love to speak with individuals about all things digital. If you would like to talk to Luke please send us a message via our contact form. Digital in Kent is a new event created to enable business leaders in Kent to learn from local digital experts, share experience and network with like-minded people. *Site audit and consultation session includes a basic SEO site audit and the consultation includes a full strategic questioning and recommendations of ongoing work and changes. You can also enter the competition on the day by giving us your business card or talking to one of the Giants.